We are thrilled to announce our latest opportunity to educate and inspire the community about Music Therapy with an upcoming Grand Rounds presentation! 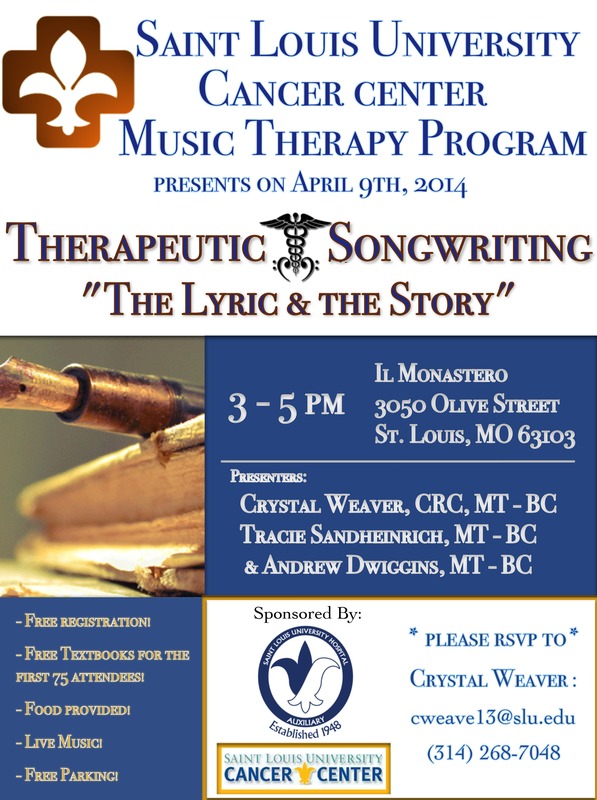 With Therapeutic Songwriting as our focus, the presentation will feature Crystal Weaver, CRC, MT-BC, Tracie Sandheinrich, MT-BC, and Grammy Award Nominee Andrew Dwiggins, MT-BC – describing how we and our patients collaboratively transform their experiences and emotions into song. 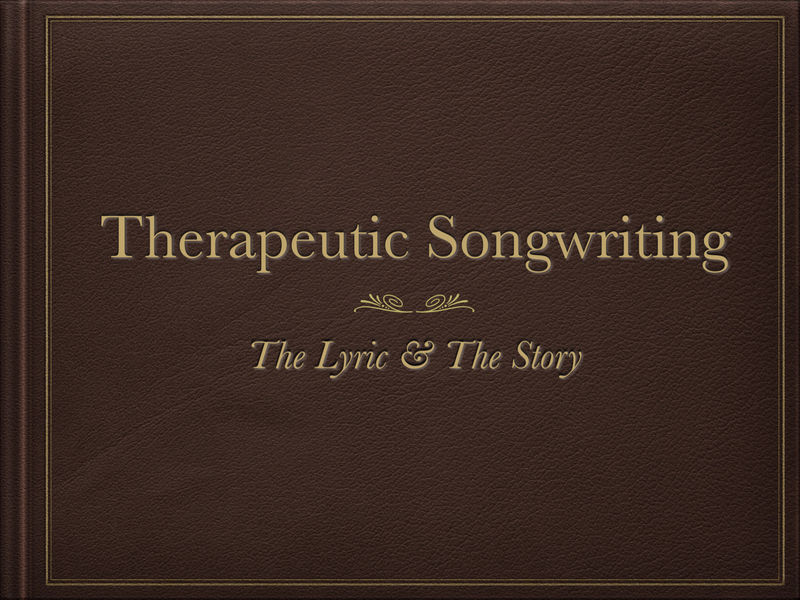 Why is songwriting therapeutic? How are songs for the radio different from therapeutic songs? Does a patient need to be an accomplished musician/songwriter for a session to be successful? These and more questions will be answered by our engaging presentation: including patient interviews, session experiences, and most importantly – MUSIC! This entry was posted in Andrew's Highlights, Crystal's Corner, What's New and tagged AMTA, CBMT, Chemotherapy, Children with Cancer, courageous coping, Crystal Weaver, Education, Guitar, Health, kids rock cancer, Mark Varvares, Maryville University, Mental Health, Music, Music cognition, Music Therapy, Patient, resilience, Saint Louis Symphony, Saint Louis University., SLU Cancer Center, SLU Cancer Center Music Therapy Program, STLMTA, Therapeutic Songwriting.